What is your view on China's "green transformation"
Everyone is talking about "growing awareness" and "transformation", but China is already a global player in areas such as solar and wind power, batteries, green-certified buildings, etc. The Chinese reality is indeed dual. In recent years, there have been major developments, although perhaps not surprising for those who have been working in China for a long time: media coverage of industrial accidents, strengthening of regulations, their very strict application, forced factory closures, which have also impacted large multinationals... Sustainable development forms the bedrock of the "China Dream", which is not a fad but the logical continuation of the national development program. What is the impact of the Made in China 2025 plan on China's energy policy? 中国制造 stands for the industry moving up the value chain. The concept of "endogenous innovation" (自主创新) is less present than in the 2015 plan. Its key sectors include information technology, electric vehicles and energy equipment. China has become, thanks to these successive plans, a global player in energy, which now exports its know-how. We can take the example of nuclear power, with essential foreign contributions and a progressive localization (which is normal for a strategic sector, remember the French nuclear program). As a result, Chinese firms are getting stronger, seasoned in the large and difficult domestic market, contributing real innovations. Note: Mr Lhopiteau was actually referring to the Medium- and Long-Term Plan on the Development of Science & Technology, a 15-year plan issued in 2006. This plan key concept was "indigenous innovation" in advanced technologies. In practice how does this translate into your sector of activity? The fundamentals, the dynamics remain the same, so does our corporate strategy. We have positioned ourselves very early (perhaps too early) in specialties that are now at the core of the "China Dream": maintenance, industrial risk management and "4.0" technologies, in industrial sectors such as decentralized energy, waste-to-energy, LNG and urban energy networks. Since 2008, we have invested in R&D in areas where we are now recognized globally: mobility, use of "BIM" in operation, integration of automation and maintenance. We are working on a niche market that is difficult to enter: we already counted a dozen copycats, more or less clumsy (including nine foreigners) ... but most have already disappeared. A very significant change in the Chinese market is that we can now find very advanced technological partners: we have signed a global agreement with Alibaba for the use of their cloud-based artificial intelligence tools as part of our solutions and with LLVISION for the extension of our mobile apps on their connected glasses. These partners work just like us: they anticipate and create the market. What about the Caidian eco-city project in Wuhan? I have always considered these major projects, like the new city of Xiong 'An, the Shanghai World Expo (2010) or the Olympic Games (2008), as platforms rather than direct targets. The eco-city of Caidian is different thanks to its Sino-French nature and the dynamism of the French authorities (especially the French Consulate in Wuhan). It helps us strengthen our existing links with the government departments handling infrastructures in Wuhan and in the province, well beyond Caidian itself. Our speech at the 5th forum last autumn, on the topic of "The technician in the eco-city: towards the knowledge economy", was very well-received: it was naturally aligned with the mayor's introductory speech and all of our case studies were of course located in China! What are the opportunities for French companies on this type of projects? I can only speak of my own experience. China is a difficult market. A strong localization is essential for a lasting success: it is not a Chinese requirement, but an internal requirement to better address the needs, first to understand them. This requires long-term investments and often financial losses. The Belt & Road initiative also offers enormous opportunities for French companies already active in Africa, usually for historical reasons, if they make efforts to understand the Chinese needs in such projects. Exporting from China already accounts for nearly 40% of our turnover. Siveco designs, develops and implements solutions to improve the operation and maintenance of infrastructures and industrial sites, with a focus on the human factor, with the bluebee® mobile solution "for the worker of tomorrow". In China since 2004, Siveco is very active in supporting Chinese manufacturers on the New Silk Roads. It is the only foreign company to have received, in November 2018, the "Brillant 40 years" award (the term “辉煌40 年” refers to the 40 years of reform and opening of China) by the China Electrical Equipment Management Association (中国电力设备管理协会). 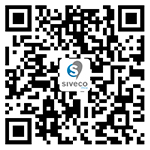 Siveco China (www.sivecochina.com), founded in 2004, is a pioneer in the development of Smart Technologies for the Operation & Maintenance of infrastructures and industrial plants, with a focus on mobile solutions "for the worker of tomorrow". Siveco China publishes the monthly "Smart Operation & Maintenance – for the worker of tomorrow" email newsletter (newsletter.sivecochina.com), bilingual English and Chinese, available to subscribers and online.